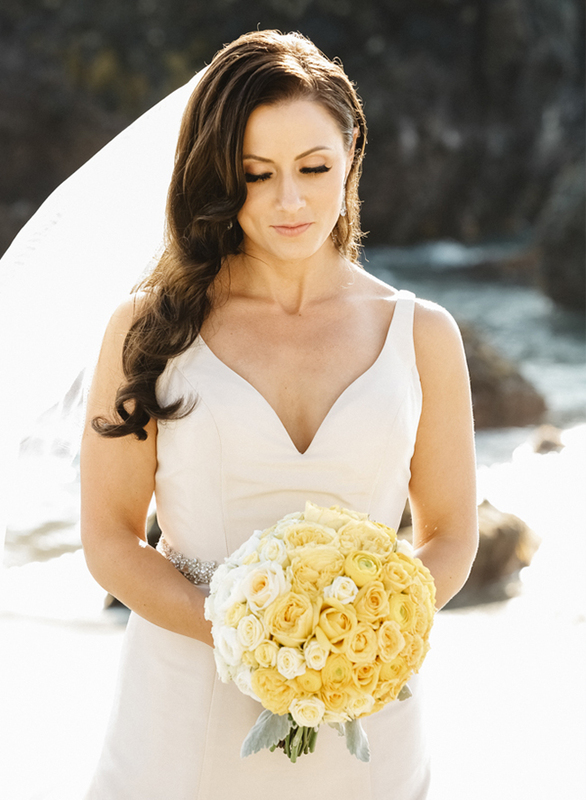 Inspired by the summer sunshine, no doubt, so many summer brides pick yellow as their choice wedding color. 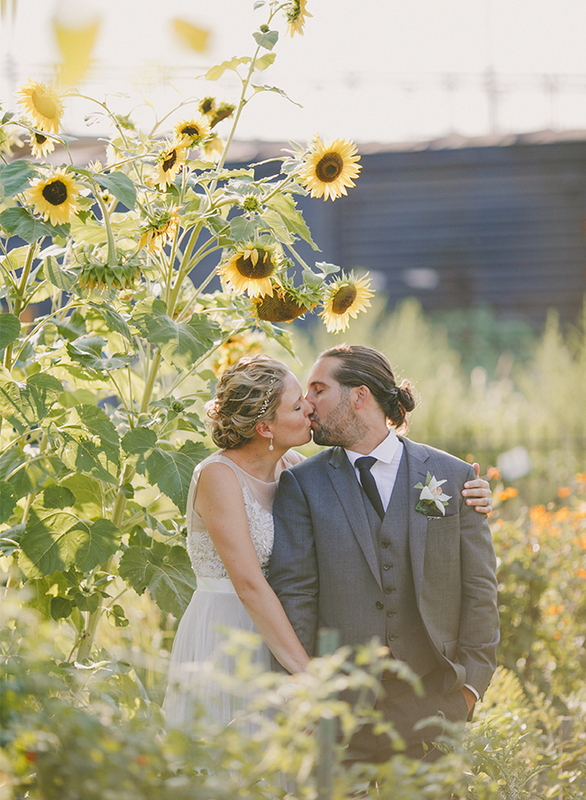 We love this sunny hue and have seen it executed in the most beautiful of ways, so we thought we’d share a few tips and a bit of inspiration to help those of you looking to have a yellow wedding achieve the look you hope for. 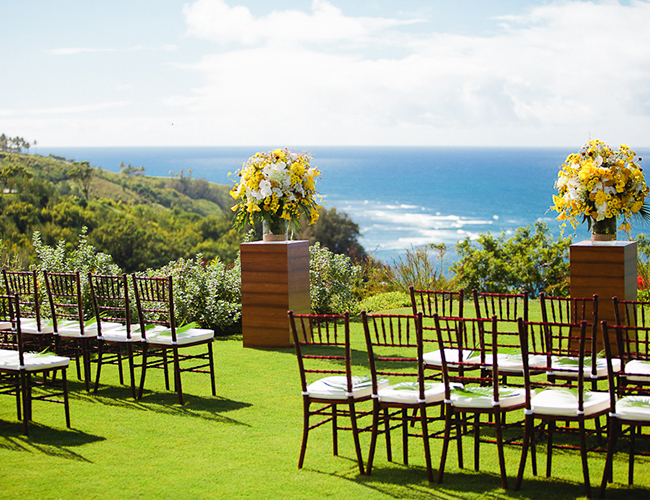 From the very start of your wedding planning process, you can start utilizing your wedding colors – i.e. 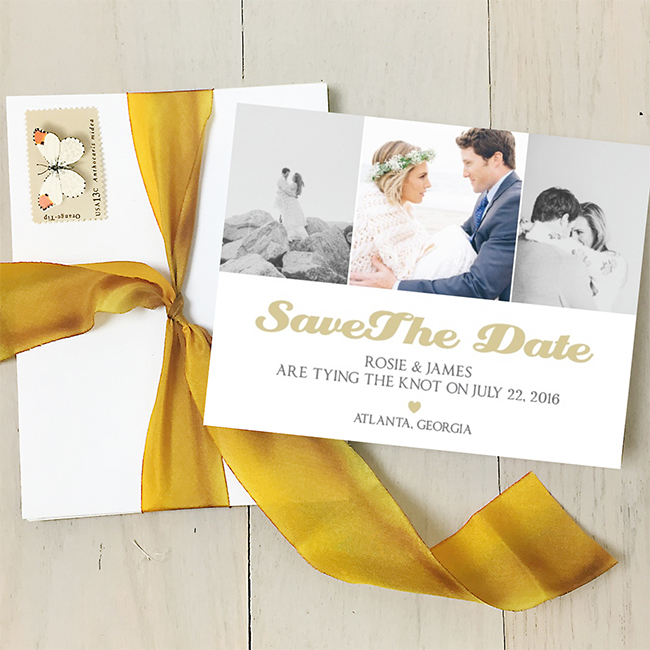 your invitations & save the dates! 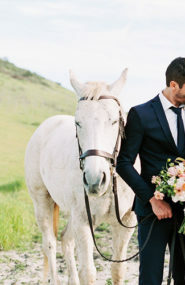 Even down to what you wear in your engagement photos helps create cohesion across the board. 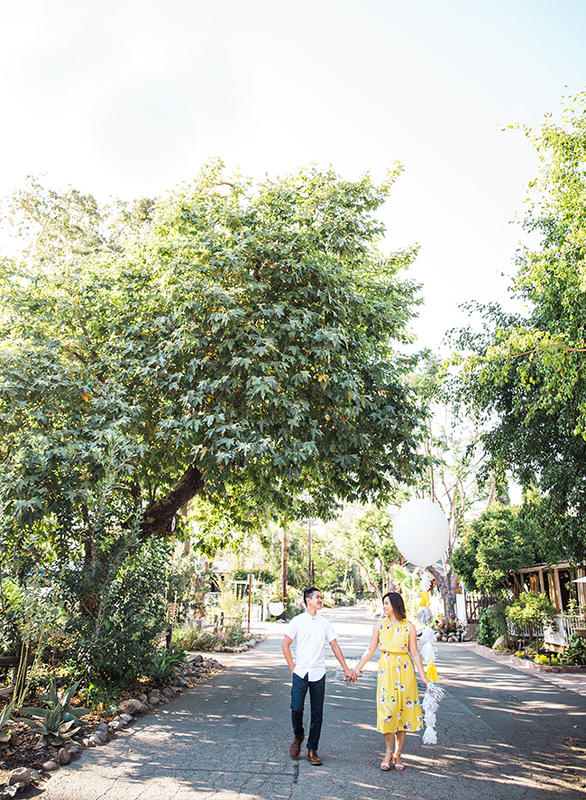 We love this bride-to-be’s sunny yellow dress below – the pair even toted along yellow balloons! 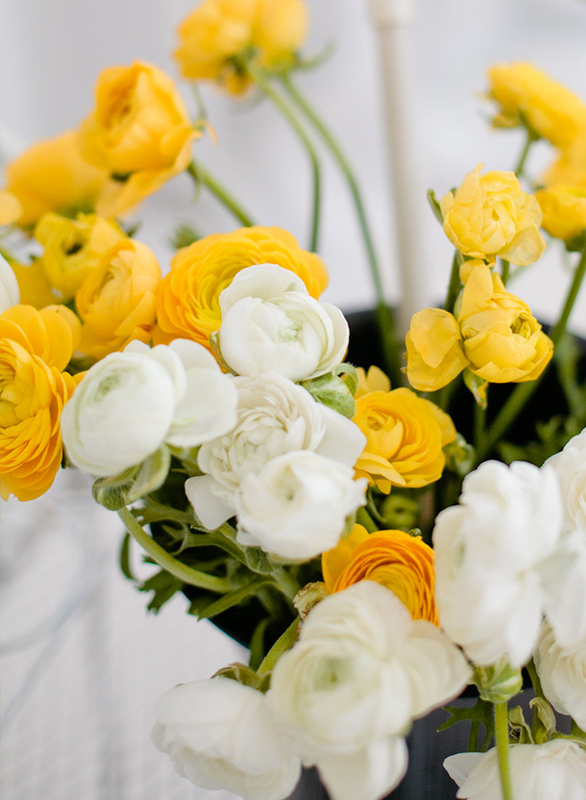 There are so many gorgeous yellow hued flowers out there to help turn your day into the summer fete you’re wishing for! 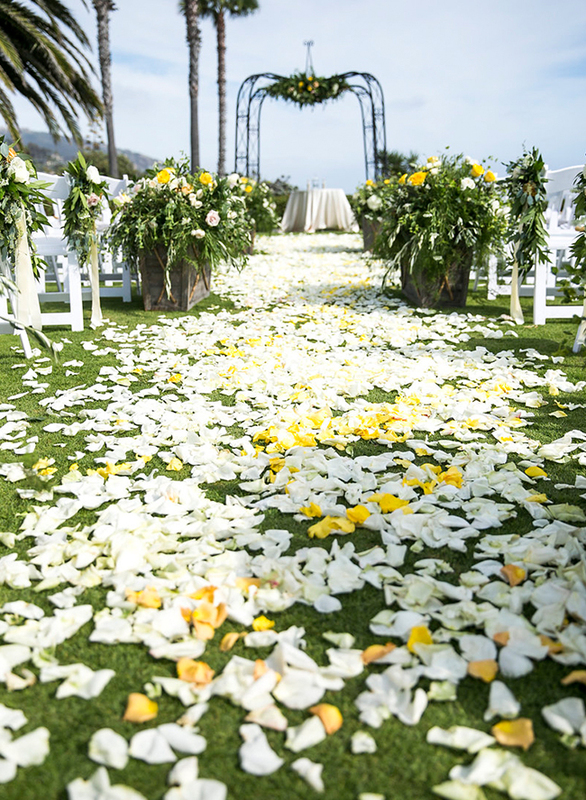 A yellow bouquet makes the prettiest pop against a white wedding gown and don’t skimp on the ceremony – a yellow petal lined aisle or big beautiful arrangements will have a grand impact. 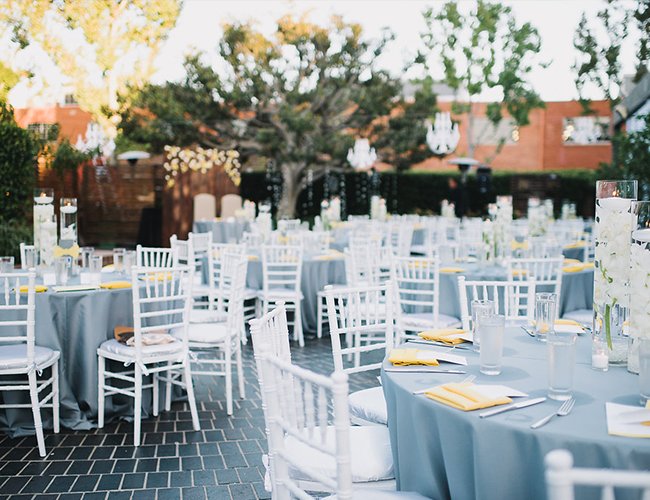 Bright yellow linens are a sure way to execute your color palette. 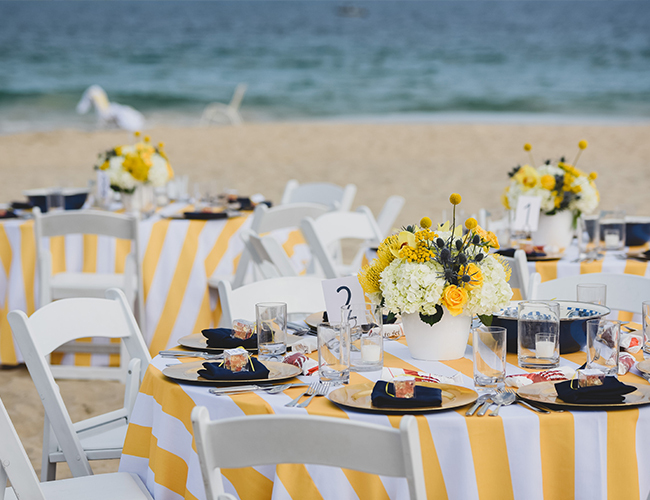 Get the point across with a bold stripe, or keep it subtle with simple yellow napkins. 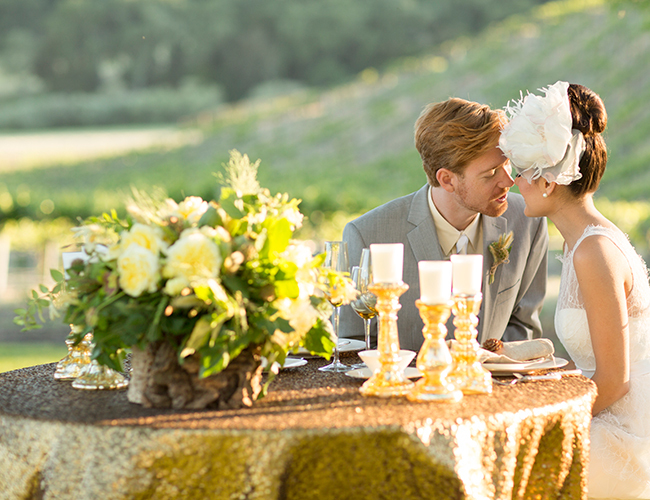 If you want to incorporate a little glam to your reception use a gold sequin linen – it will tie in to the color scheme perfectly. 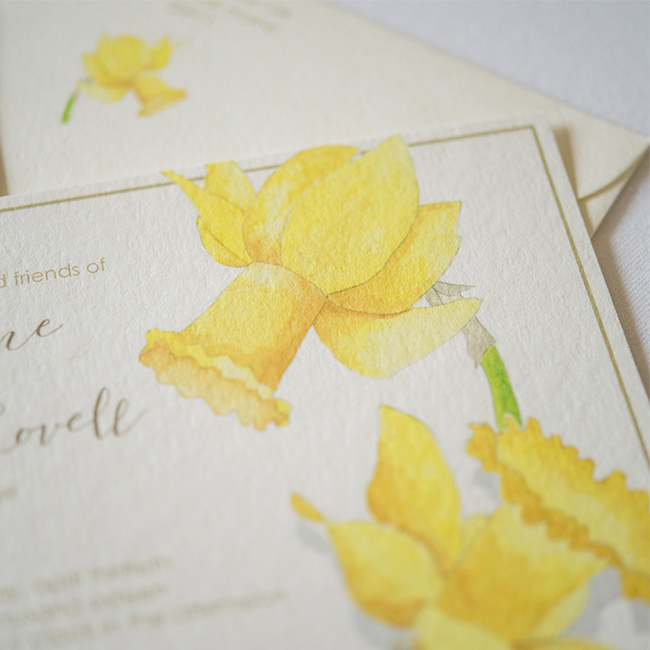 Brighten up your wedding by bringing yellow into your day-of stationery. 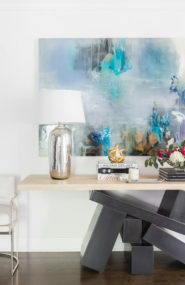 These little details will make a big difference when it comes to photographs. 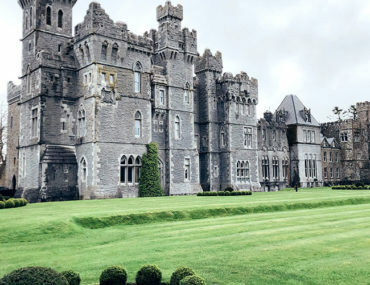 Plus, all your guests will be looking at them for where to go or what to order! 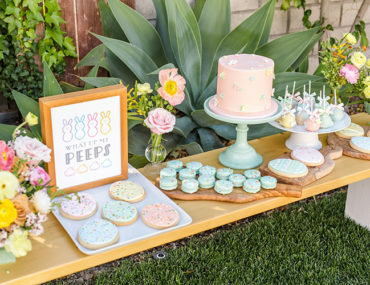 The last part of your wedding day shouldn’t be forgotten – the cake! 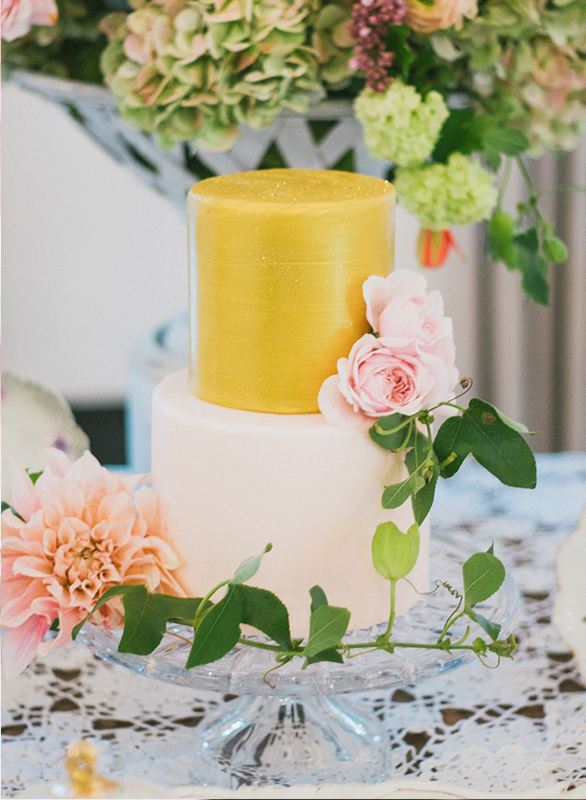 We’re drooling over these yellow confections that are almost too pretty to eat! 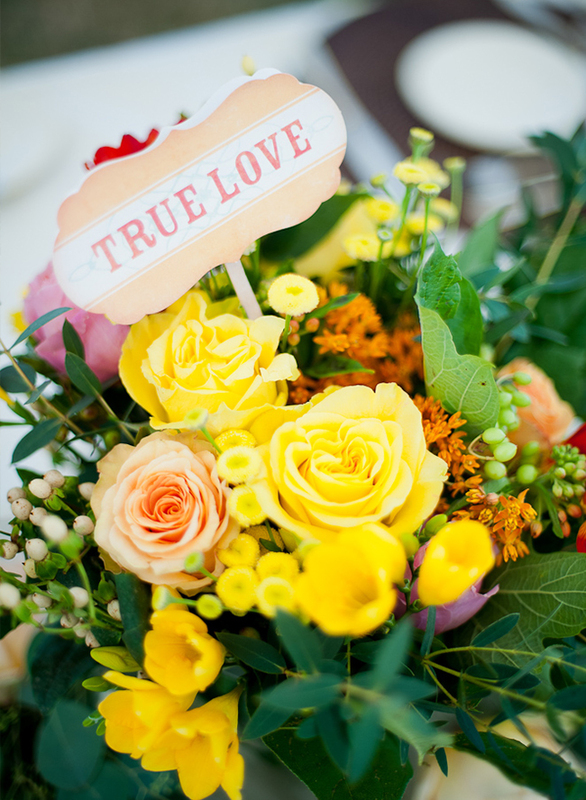 I love yellow weddings! So bright and fun! Exactly! So cheery! We absolutely love it! Aren’t they? Yellow is such an uplifting color! Yellow is so fun! I’m obsessed!! Same! We love some yellow over here at the IBT office! 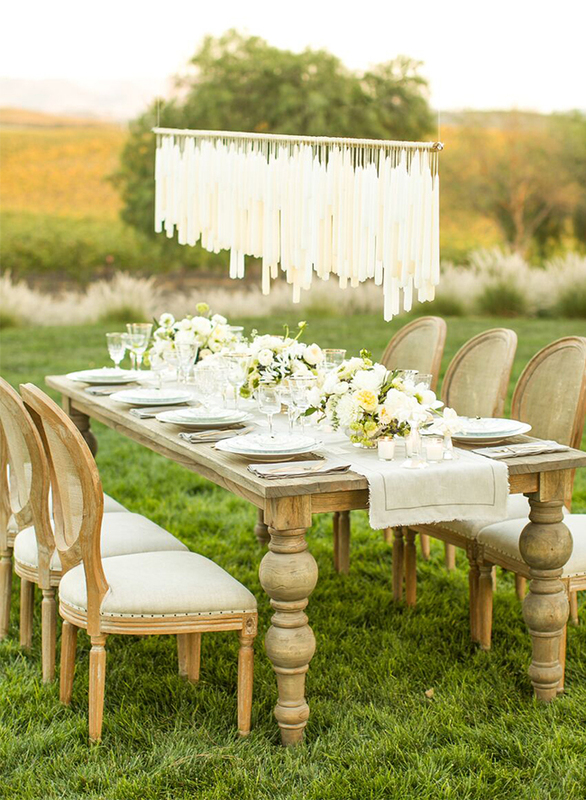 These are perfect summer wedding ideas! Thanks so much! 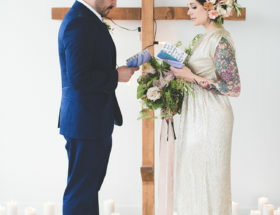 Let us know if you take inspiration from any of these weddings! 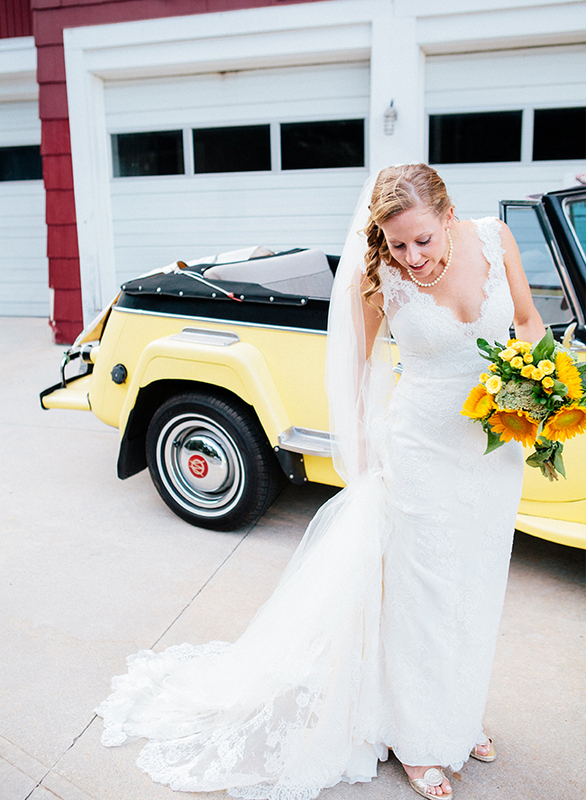 yellow is the perfect summer wedding color if you ask me – bright and happy! Exactly! We are totally on the same page Gina! 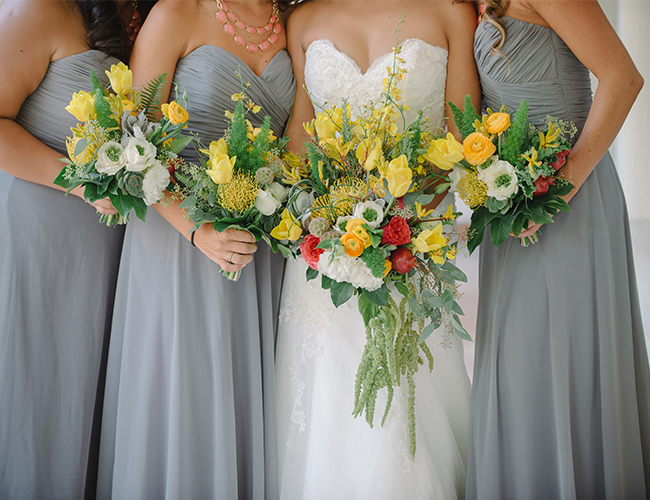 Love the yellow theme…exactly what I went with for my wedding. 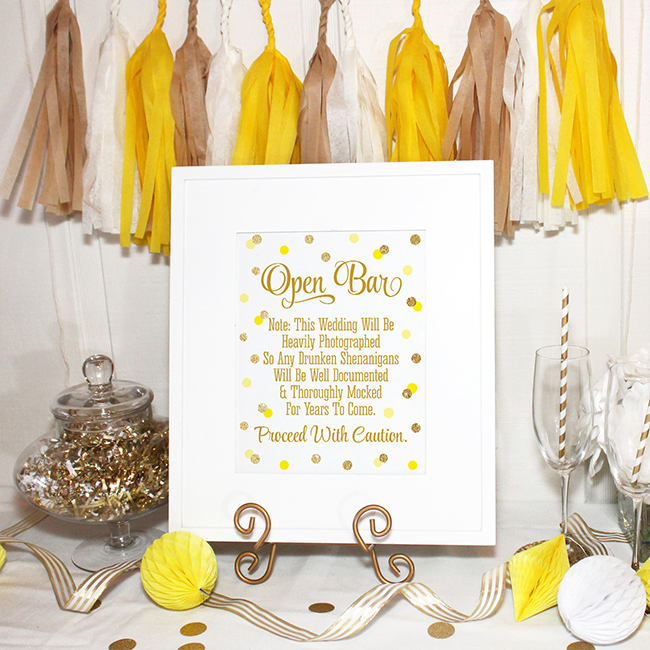 The open bar sign is so adorable! 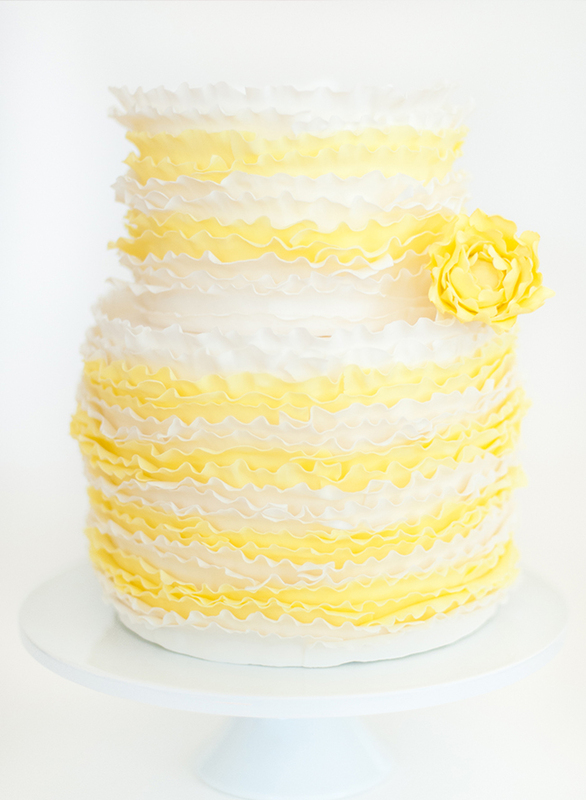 We adore the yellow theme too! Isn’t the open bar sign cute? 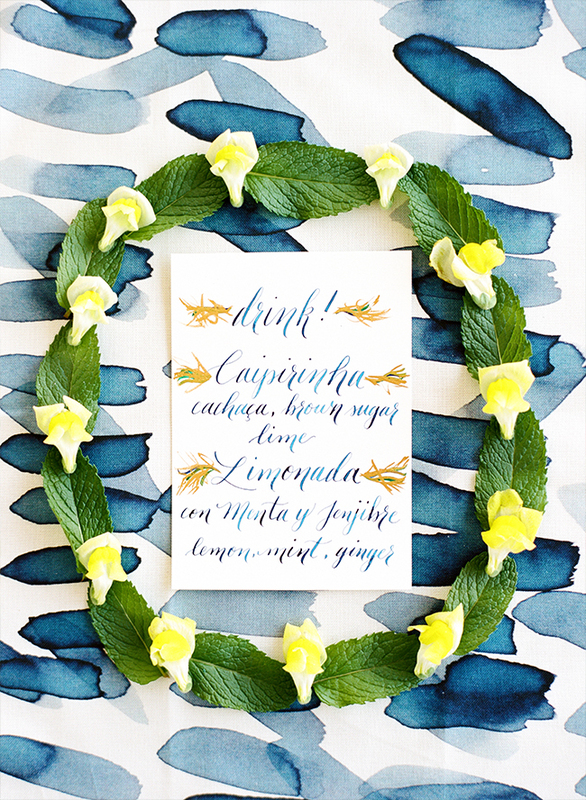 We love handmade signs and banners for weddings! Yellow is my fave color! 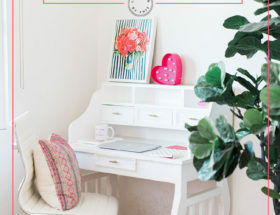 I wish I would’ve picked it as my wedding color but I just couldn’t figure out how to pull it off – clearly this post wasn’t around to help me 7 years ago! 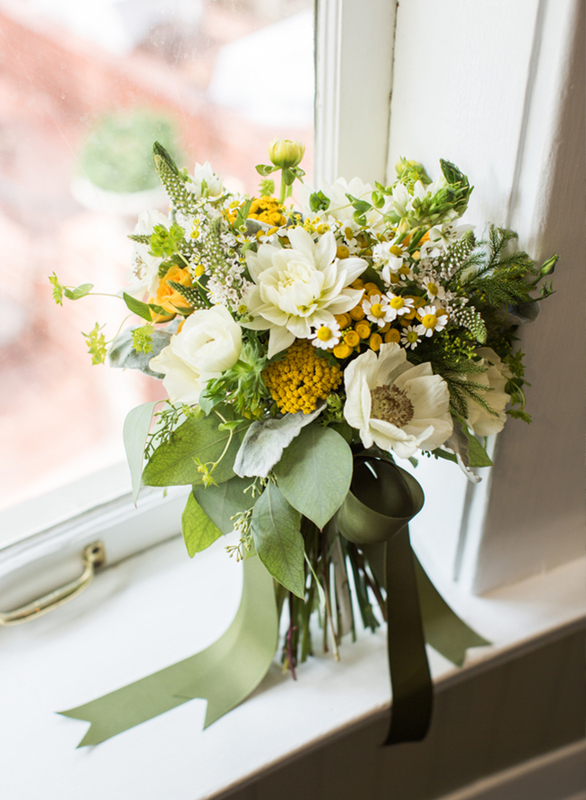 Love this post and all of the gorgeous yellow inspiration!! Yellow is one of our faves too! We are so glad you enjoyed! 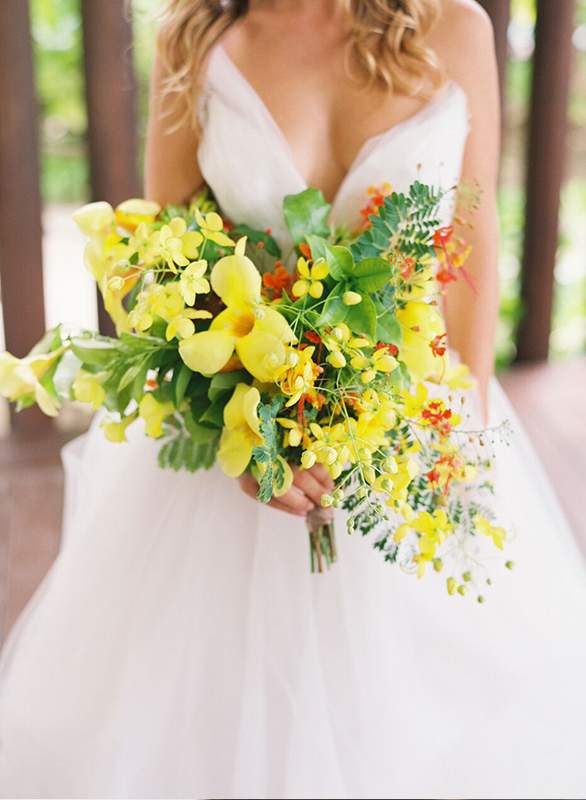 I would have never guessed yellow could be so pretty! Right? 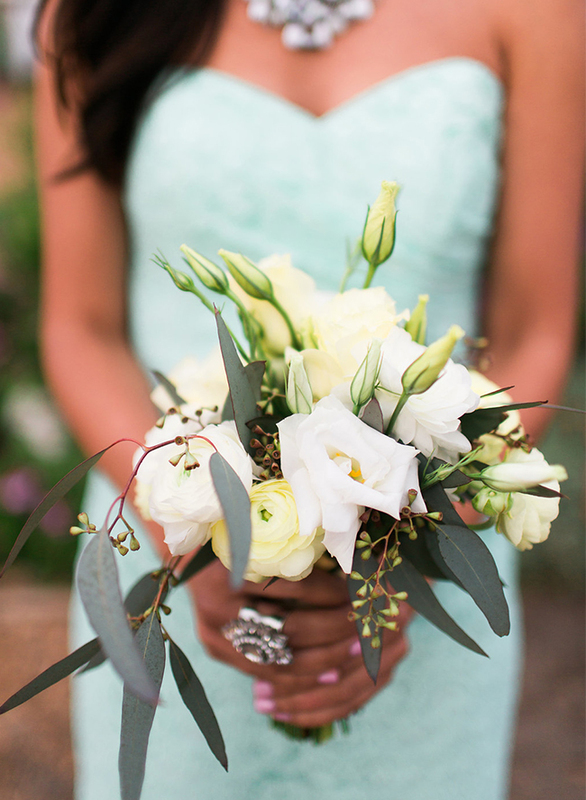 These weddings are simply dreamy!